I liked this sketch but I really didn't want to do the expected and cut a shape and do ribbon and a sentiment. 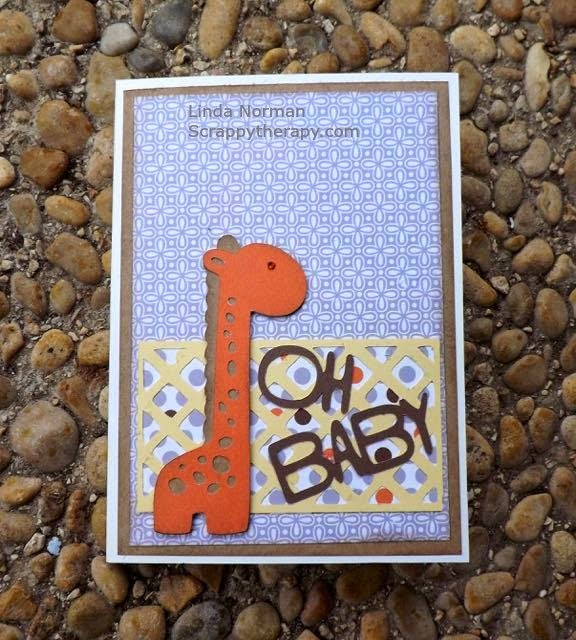 This card started as Letter E for the ABC Blog Hop using the letter E key on the Artbooking Cartridge. After I assembled it I realized it was basically the sketch just upside down! Fun coincidence! The shapes and Overlay were all cut from this page on the Artbooking Cricut cartridge! The overlay was cut at 5 inches so Overlay>shift.>E. The giraffe was cut at 7 inches so Icon>E and Icon>shift>E for the top layer. The Sentiment was also cut at 5 inches so Title>E. 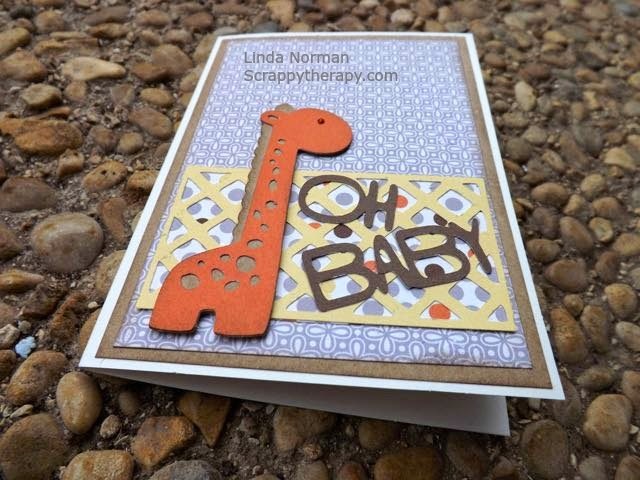 I inked the edges of the giraffe with Chocolate ink and added a little Brown sparkle from the Sparkles Brown and Tan Assortment. The paper is Babycakes which is retired but available in a Picture My Life Collection and on Studio J! Please join us on Atlantic Hearts Sketch Challenge and share your creation! Turned out cut Linda. Like it. Awesome card. 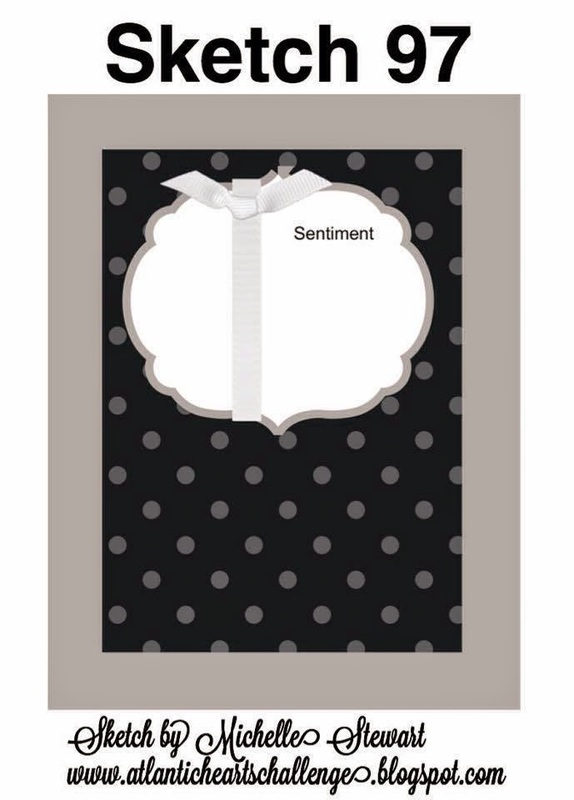 Super cute, and has inspired me for a card for a baby shower I have to attend at then end of the month. So cute! And look at that... I forgot we had a giraffe on Artbooking... awesome! What a great demonstration of the use of the Arbooking cartridge! Great concept on the sketch :) I love it!